GAY, ZIONIST SPY CHIEF - MAURICE OLDFIELD Boys at the Kincora Children's Home in Northern Ireland were reportedly 'used' by the security services. The head of Britain's MI6, Sir Maurice Oldfield, was reportedly observed by his Special Branch guards partaking of Kincora's facilities. (The troubles: Google Books Result) Allegedly, Oldfield shared boys with Russian spy Sir Anthony Blunt, Noel Coward, several bishops, and an archbishop. The Biggest Secret of World War II By T Stokes At that time homosexuality was seen as an awful abomination, and an easy target for blackmail. 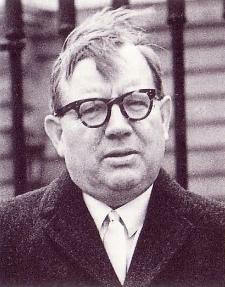 Maurice Oldfield, the “M” of James Bond films, was Director General of M.I.5 from 1973-1978, allegedly had a taste in young street boys, called by the Apostles ‘delicious catamites” Margaret Thatcher told the House of Commons in 1987 that he had been asked to stand down over the blackmail threat of his sexual tastes......The King’s brother, the Duke of Kent, Prince George, who was boyfriend to Sir Anthony Blunt and Noel Coward, and was actually arrested with Maurice Oldfield during the war when a policeman rounded up what he thought were 3 drunken street whores, only to find they were not just men, but among the HIGHEST in the land.